When Erwin Rommel died--by forced suicide at Hitler's command--he left behind in various ingenious hiding places the papers that recorded the story of his dramatic career and the exact details of his masterly campaigns. It was his custom to dictate each evening a running narrative of the day's events and, after each battle, to summarize its course and the lessons to be learned from it. He wrote, almost daily, intimate and outspoken letters to his wife in which his private feelings and--after the tide had turned--forebodings found expression. To this is added by Rommel's son Manfred the story of the field marshall's last weeks and the final day when he was given the choice of an honorable suicide or an ignominious trial for treason. 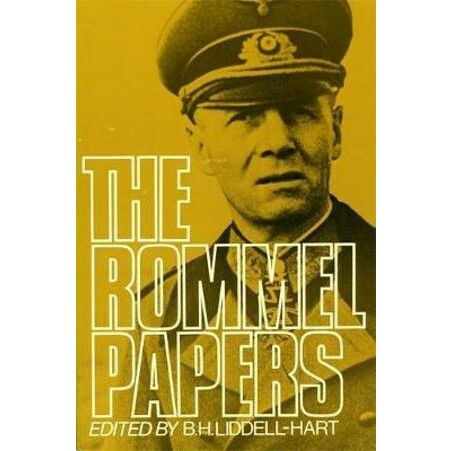 An engrossing human document and a rare look at the mind of the Desert Fox, The Rommel Papers throws an interesting light on the Axis alliance and on the inner workings of Hitler's high command.